Long span suspension bridges cost billions. In recent decades, structural health monitoring systems have been developed to measure the loading environment and responses of these bridges in order to assess serviceability and safety while tracking the symptoms of operational incidents and potential damage. Long span suspension bridges cost billions. In recent decades, structural health monitoring systems have been developed to measure the loading environment and responses of these bridges in order to assess serviceability and safety while tracking the symptoms of operational incidents and potential damage. This helps ensure the bridge functions properly during a long service life and guards against catastrophic failure under extreme events. Although these systems have achieved some success, this cutting-edge technology involves many complex topics that present challenges to students, researchers, and engineers alike. 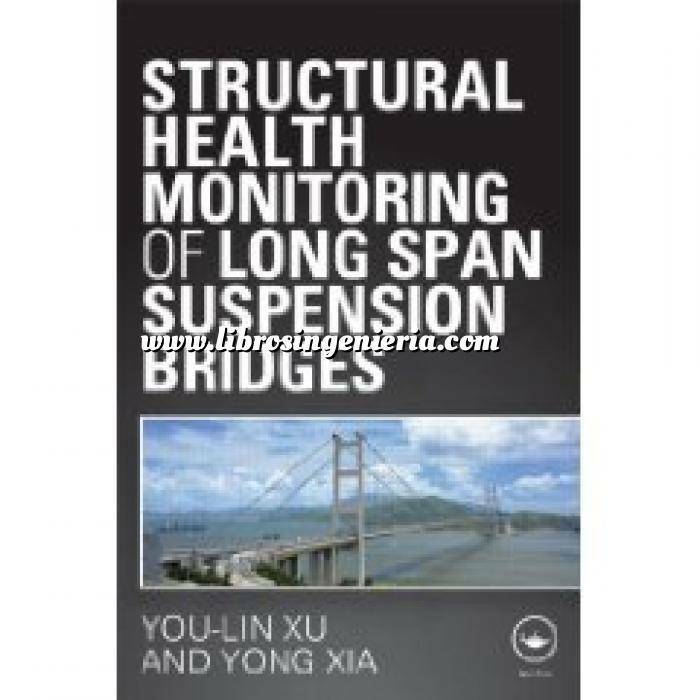 Systematically introducing the fundamentals and outlining the advanced technologies for achieving effective long-term monitoring, Structural Health Monitoring of Long-Span Suspension Bridges covers: The design of structural health monitoring systems Finite element modelling and system identification Highway loading monitoring and effects Railway loading monitoring and effects Temperature monitoring and thermal behaviour Wind monitoring and effects Seismic monitoring and effects SHMS-based rating method for long span bridge inspection and maintenance Structural damage detection and test-bed establishment These are applied in a rigorous case study, using more than ten years' worth of data, to the Tsing Ma suspension bridge in Hong Kong to examine their effectiveness in the operational performance of a real bridge. The Tsing Ma bridge is the world's longest suspension bridge to carry both a highway and railway, and is located in one of the world's most active typhoon regions. Bridging the gap between theory and practice, this is an ideal reference book for students, researchers, and engineering practitioners.